Pittsburgh running back James Conner has emerged as one of the top stories in the NFL. 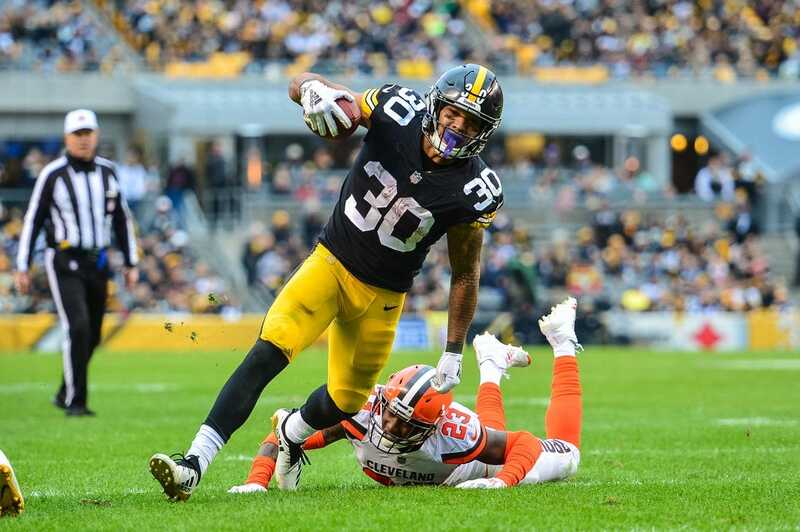 A fill-in for the disgruntled Le'Veon Bell, Conner has four consecutive 100-yard rushing games to stand second in the league with 706 rushing yards overall. He also has proven effective catching the ball out of the backfield. "He's a beast," Carolina linebacker Luke Kuechly said of Conner, according to the Panthers' website. "They are really good up front -- they're big and physical. They work really together, but that guy is really good. He's playing with a lot of confidence. "He's like these new-age backs where they are good, obviously, running the ball, but he can catch the ball and cause some mismatches as well." The two other biggest names in Pittsburgh's offense haven't changed. Receiver Antonio Brown is off his standard pace with 51 catches for 594 yards, but he is tops among receivers with nine touchdowns. Roethlisberger's counterpart, Cam Newton, has been limited in practice because of a right shoulder problem, but that is considered to be precautionary, and Newton should be ready to go. Christian McCaffrey is Conner's counterpart. He leads the Panthers with 502 yards rushing, and like Conner, is also a threat catching the ball. "You should start with Cam Newton because he can run it, he can throw it, he's strong, he can make all the throws (with) accuracy from a distance standpoint," Steelers coach Mike Tomlin said. "But I really think what's going on with them is looking at the infusion of roles between what he and McCaffrey are able to do. You talk about multitalented players, multidimensional players that are really performing well together." Ryan Kalil did not practice Monday and Tuesday, but coach Ron Rivera said the Panthers "feel pretty comfortable" about the center being ready Thursday. "He did some stuff with the trainers and he's feeling pretty good," Rivera said. Carolina safety Eric Reid has been limited in practice after he finished Sunday's game against Tampa Bay despite a sprained right shoulder. Receiver Torrey Smith (knee) did not practice Tuesday, and he could miss a third consecutive game. Steelers offensive tackle Marcus Gilbert (knee) seems likely to miss his third game in a row, but Matt Feiler has filled in capably as a starter for two weeks, playing a part in Conner's rushing total.